What to expect. It depends on if you are completely replacing your cabinets, countertops, appliances, lighting, and flooring or if you are making partial improvements such as refinishing your cabinets or installing a new countertop. What to expect. This project will greatly affect your daily life. Furniture will need to be moved from the rooms being worked on, and there will be a massive amount of dust. You will need to cover and protect your belongings. And, according to HouseLogic.com, “if you use oil-based sealants, you’ll have to live somewhere else to avoid breathing VOC fumes.” Even if you are using a water-based sealant, you won’t be able to walk on your floors for several days while the work is being done. It might be a good time to take a trip out of town. The good news: Redone hardwood floors will make your home look fabulous, and it will all be worth it! What to expect. “About three-quarters of homeowners get new roofs not because they want to but because they have to,” according to HouseLogic.com. Getting a new roof is one of the biggest decisions a homeowner can make. Whether you replace, repair, or recover your roof, you’ll need to decide what kind of work your home needs. Be warned: There will be noise! You may want to plan to be out of the house during working hours to avoid the racket, and perhaps take your pets with you. Homeimprovementhelper.com has some more advice on how to get yourself, and your home, ready for this big job. How long will it take. According to Universal Roof & Contracting, “the duration of most standard reroof jobs is about 3-5 days.” This estimate is for a complete tear-off and reroof job. An overlay is estimated to take about one to two days. Of course, weather, as well as the size and the complexity of job, may affect your timeline. What to expect. 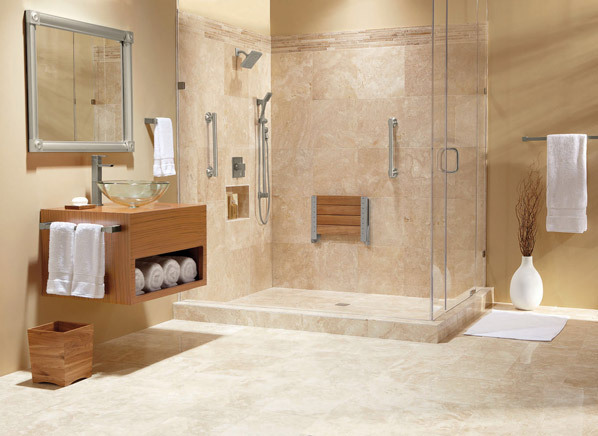 If you are working on your one and only bathroom, expect your life to be quite disrupted. You may have to improvise your bathing routine — sponge bathing in a sink might have to do — and make alternative arrangements for the call of nature. How well do you know your neighbors? How long will it take. You should expect to be out a bathroom for two to three weeks. But we may have some bad news. According to About Home,”Because reality rarely cooperates with plans” a full-scale tearout and rebuild of a small bathroom can take more like nine weeks, cumulatively.